Sometimes political action is a Christian duty, at home or abroad. Toronto, Canada — I arrived here from Krakow, Poland, after a week of being asked by anyone who spoke English: What is going to happen in the U.S. presidential election? It’s not November or even October yet, and the advice I tend to give is: Pray, and don’t be a cheap date. Here in Toronto, Carl Anderson of the Knights of Columbus offered guidance of his own during his report to the yearly convention of the largest fraternal organization in the world. He led with an account of some of the charitable work that is the Knights’ basic mission, helping men live the Beatitudes. But then he went on to tell of what they’ve been doing to raise awareness about the genocide of Christians and other religious minorities targeted by the Islamic State in the Middle East. He talked about that and the relief efforts the Knights have been leading to meet the basic needs of people who have been displaced, having chosen their faith in Christ above comfort and stability — leaving homes, jobs, and any semblance of certainty about their futures. But all of that was not of much interest to the press. It is, after all, an election year. Americans are angry and disgusted about politics. Even the word “politics,” and Washington, D.C., itself, are disdained. And is it any wonder? As Anderson says, there is a poison in our polity. Pluralism has encountered something grave, something that for more than four decades we have allowed to become a hidden background story, as we refer to it with euphemisms and hardened activism. What we need is the truth we can see on a sonogram — along with tender mercy, especially for those who have suffered because of the mainstreaming of abortion as a faux symbol of health care and freedom, even to the point of instituting government mandates in health-insurance coverage to make us believe these things. The Poles’ implicit message was, clearly: You Americans have had a great thing going that has been of benefit to the world. Don’t blow it. Don’t disappoint us. And yet, around the world, people look to us still. And with some worry. Will the U.S. continue to be a leader? Will the U.S. keep Vladimir Putin from acting out? These were some of the questions Poles were concerned about. The Little Sisters of the Poor at the Supreme Court fighting for religious freedom were not on their radar screen so much as things closer to their border. And the implicit message as we talked was, clearly: You Americans have had a great thing going that has been of benefit to the world. Don’t blow it. Don’t disappoint us. It’s exactly because Catholics and other religious believers are not being as bold and loving on these issues as we should be, with a courageous confidence, that we are where we are today — including with two bad choices for president of the United States. Taking the Gospel and Catholic social teaching seriously in the civic life of America would help heal us and lead us to a more fruitful and healthy politics. Anderson emphasized what Catholics cannot vote for: “We will never succeed in building a culture of life if we continue to vote for politicians who support a culture of death.” But he did not endorse a candidate. One of those ways is to be instruments of healing in the midst of violence and tension in our streets. Love doesn’t stop at wanting to help the innocent to live. It’s a way of life that helps to restore an innocence that allows us to live in gratitude. All this is why Pope Francis talks incessantly about mercy. Mercy, at times, seems a foreign concept. Because our politics and culture are merciless. They have created divisions in our society that make it hard even for religious believers to work together for the common good. No one can tell you who to vote for, but we can say that cynicism, anger, indifference, manipulation, and resignation will not do. 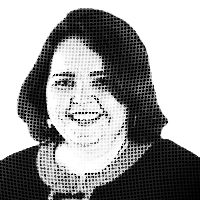 — Kathryn Jean Lopez is a senior fellow at the National Review Institute and editor-at-large of NRO. She is co-author of the updated How to Defend the Faith without Raising Your Voice. This column is based on one available through Andrews McMeel Universal’s Newspaper Enterprise Association.